Michelle Smith will represent LinkingWaters is included in an action-packed panel discussion with key regional leaders in community scale sustainability and job creation. Panelists and sustainable community enthusiasts are coming together to describe and discuss their most recent projects, as well as opportunities for public involvement. “There are so many incredible organizations and projects in the Asheville area related to food, sustainable living and job creation. For this event, we crafted a format that would provide a unique chance to participate in cutting-edge next steps for the regional movement towards economic and ecological sustainability. “We’ve invited the members of this panel to highlight some of the most effective endeavors going on, and provide a new venue for them to work together and get more people involved,” says Zev Friedman (www.livingsystemsdesign.net), an organizer and teacher of the Permaculture in Action program, which the panel is a part of. The panel also includes Gordon Smith (Asheville City Council member, creator of the Asheville Buncombe Food Policy Council), Dewayne Barton (Co-founder, Green Opportunities), Patricia Allison (Regional Permaculture Teacher, Earthaven Ecovillage), and Tom Knaust (Buncombe County Fruit and Nut Club, CrobMob West). The event will begin with a brief introduction to Community-Scale Permaculture by Dylan Ryals-Hamilton and Zev Friedman. There will be an emphasis on collaboration between organizations and individuals who haven’t worked together in the past, and on ways that different people can join in to support and benefit from these projects. The event will begin promptly at 10:45 a.m. The event is free and open to the public. Please forward and share with your networks. Transition Asheville’s FIRST action-group-sponsored potluck will be held at the UCC, at 20 Oak Street in Asheville, 5:30-7:30, with carpooling to the contra dance at WWC. The TA Water Action Group is putting it on and we plan to have a slideshow and some video clips around the room for people to view, plus an introduction to the new Water-Sustainable Asheville initiative. We really need people to help set up and keep things going, so let us know if you can help. Or if you have something about water you’d like to share! Terry Bellamy asked me for my ideas on how to create jobs in NC — so I told her. I would create jobs by treating rainwater as a valuable resource instead of treating it like a nuisance to be drained away as aggressively as possible. 1. Earthworks — for directing rainwater where we want it to go and then encouraging it to soak into the soil, recharging our depleted aquifers and streams. Many of these can be installed using tools no more complex than a shovel (can be DIY, but can also be a job for a landscape company). Some can be of larger scale and employee engineers and earthmovers (jobs). Sites will need to be assessed for their soil content and slope (that’s a job) and it’s good to have the help of someone who understands whole-systems landscape design (more jobs). Besides creating jobs, these solutions also: protect and restore our urban streams; save the cities, counties & states costs of dealing with stormwater contamination and flooding; encourage urban agriculture and food security; help build community. 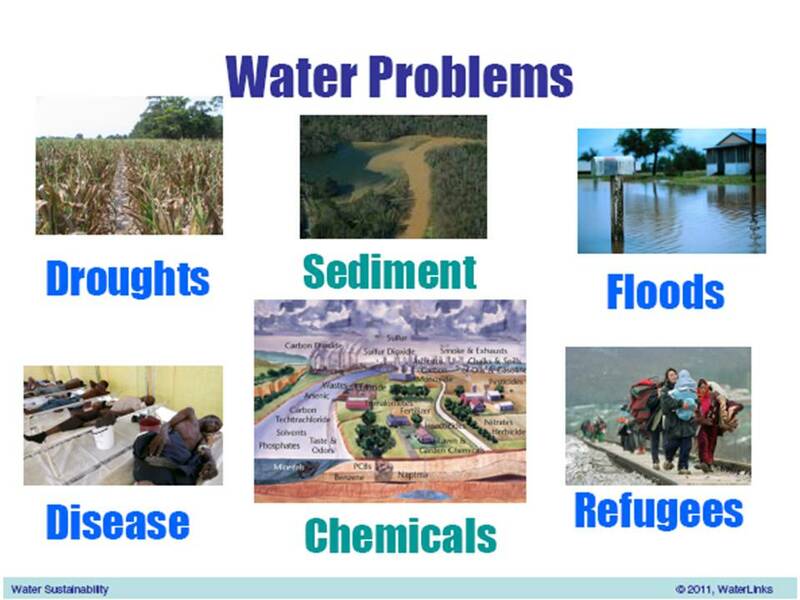 All of these solutions are being demonstrated by the LinkingWaters Project in the Southside Neighborhood of Asheville, NC. Check out this list of over 50 jobs we brainstormed that could be created by using a whole-systems approach. Thanks for asking, Terry. Please spread the word! **Neither RiverLink nor any of our partners, volunteers, neighbors, nor pets is claiming to endorse Terry Bellamy for Congress through this post. So don’t anybody get snippy. One Asheville city neighbor’s need for water launches a “whole systems” project. A dream of creating an urban food forest and micro-farm in downtown Asheville launches the idea for a whole systems solution for jobs, environment and food in the Southside. We’re demonstrating how easily, affordably and dramatically green jobs, food security, water conservation and community can grow and thrive in an urban neighborhood simply by treating rainwater like a gift instead of like a nuisance. 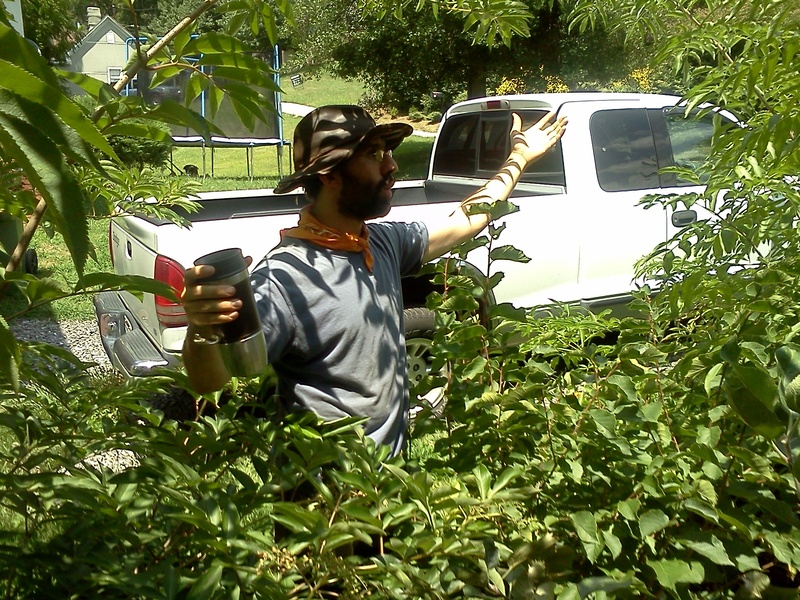 In spring of 2011 Zev Friedman and his Permaculture apprentices reclaimed part of Peace and Fun Gardens from a patch of kudzu that neighbors say had been there for at least 45 years. 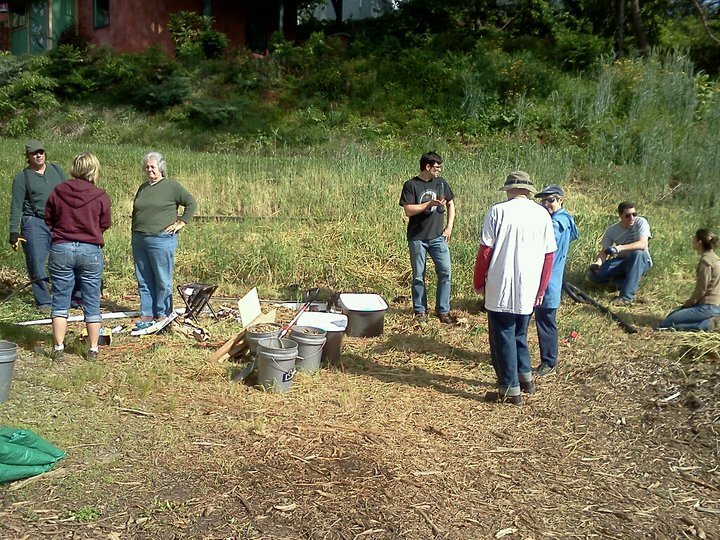 In addition to hosting the first LinkingWaters demonstration site, Peace and Fun Gardens also hosted the Permaculture in Action — Intro Day in late summer. Zev developed a system of tiny berms and swales laid out in a honey-comb pattern to allow maximum rainwater to soak into the soil while also minimizing erosion and run-off and allow lots of sunlight to reach in between the corn down to the beans, squash and sweet potatoes. Brilliant! Grant and sponsorship dollars are available! If there is interest in any of the following topics in our neighborhood, we can apply for money to help residents with costs. 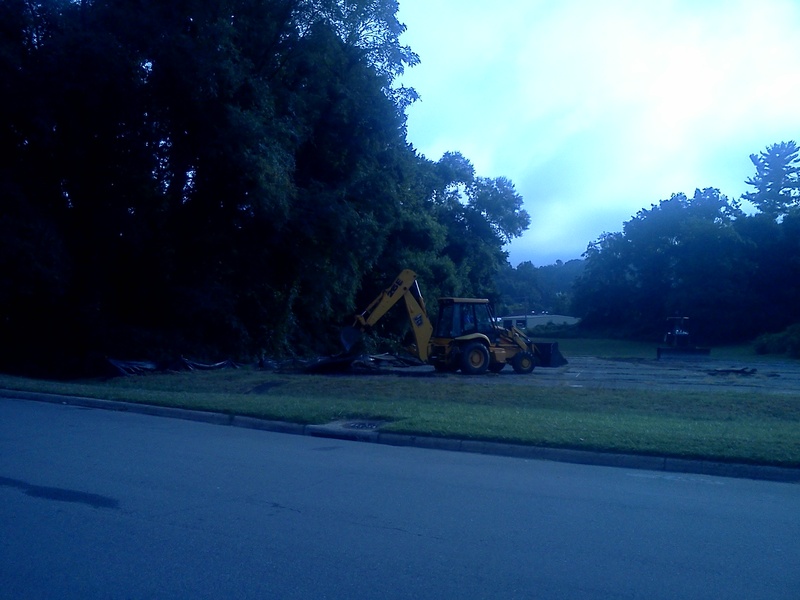 The historic restoration of Nasty Branch. Harvesting and infiltrating rain water. Southside resident, Michelle Smith reports, “I’ve already raised a fairly small amount of money to install stormwater solutions at my house while building beds for blueberries and transforming a kudzu patch to a big garden full of corn and sunflowers and more. But there is more out there”. Take this survey to help us apply for dollars to the Nasty Branch Water ‘Hood! On inspiration for the creation of the LinkingWaters project was the desire to protect and restore Nasty Branch** in Southeside neighborhood of Ashevillle, This urban stream flows directly into the South French Broad River less than a mile away from the first demonstration site at Peace and Fun Gardens. Nasty Branch** fills with migratory birds in the spring and fall. It is a cool, shady, lovely place. Many of the African-American neighbors who grew up here recall playing in the stream as kids. Wouldn’t it be a wonderful opportunity to build community here in the Southside if neighbors could rally around the restoration and protection of the stream that flows through our neighborhood? We have a great opportunity now because Nasty Branch** is part of the City of Asheville Greenway plan. 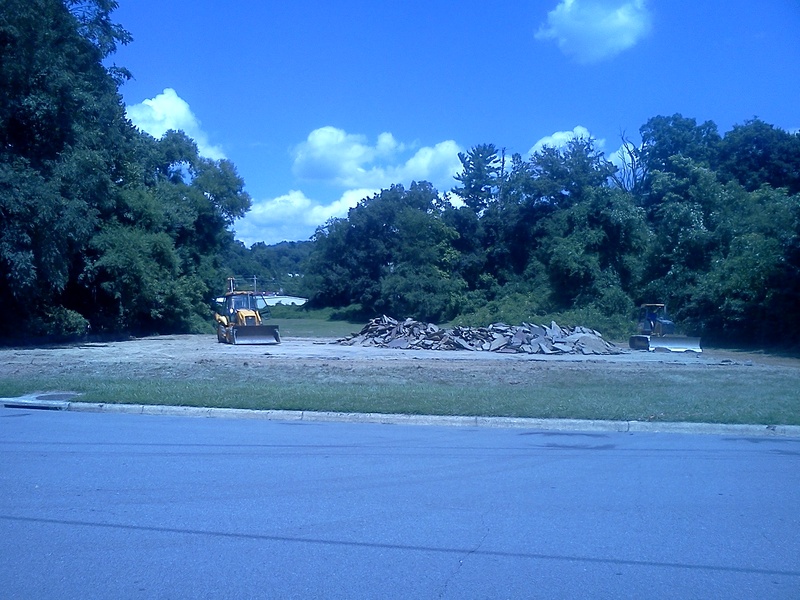 The tennis courts that once stood at the Congress Street parks are being torn up today. We’ve contacted Asheville Parks, Recreation and Cultural Arts department and asked them to put us in touch with the folks working on the greenway development for Nasty Branch*. We’ll let you know what we hear back. **The official name for Nasty Branch is Town Branch but it has been known colloquially and historically as Nasty Branch for decades. We know that some parties would like to see the stream called by its official name and we don’t object. But we feel the neighborhood residents should be a part of that decision and that a recognition of this stream’s role in the history of this traditionally African-American neighborhood would be appropriate. Next Step: More neighbors reclaiming urban water for jobs, environment and food! Now that the first demonstration site is installed we are inviting other Southside neighbors to participate in the project. Whatever their water needs happen to be — residents, community organizations and houses of worship can all enjoy the benefits of reclaiming rainwater. With participation from 10 – 12 more neighbors we expect that we can attract funding to help pay for design, materials and labor to install features that can help them meet their own water needs and also help our community create green jobs, strengthen our local food web and protect our French Broad River. Not everyone wants an urban micro-farm like Michelle. Some people simply want low-maintenance solutions for their yards or help with damp basements in their homes. Some people would like to harvest rain-water for their gardens. Some people have steep slopes that have been taken over by invasive plants. Neighbors who choose to participate will have expert consultants to work with them to design solutions that help them meet their goals for their property. We’ll use a tool called Whole Measures as a starting point for planning Phase 2. By using this tool many different voices can communicate with each other and create a plan for the LinkingWaters project that can serve as a model for neighborhoods around Asheville and across the Southeast that face similar challenges for our water. We believe real solutions for urban watersheds, green jobs and strong local food security are possible at the local neighborhood level. Indeed, we strongly suspect that real solutions will be impossible otherwise. We hope the LinkingWaters project will be a powerful force for health, prosperity and sustainability in Asheville and beyond. 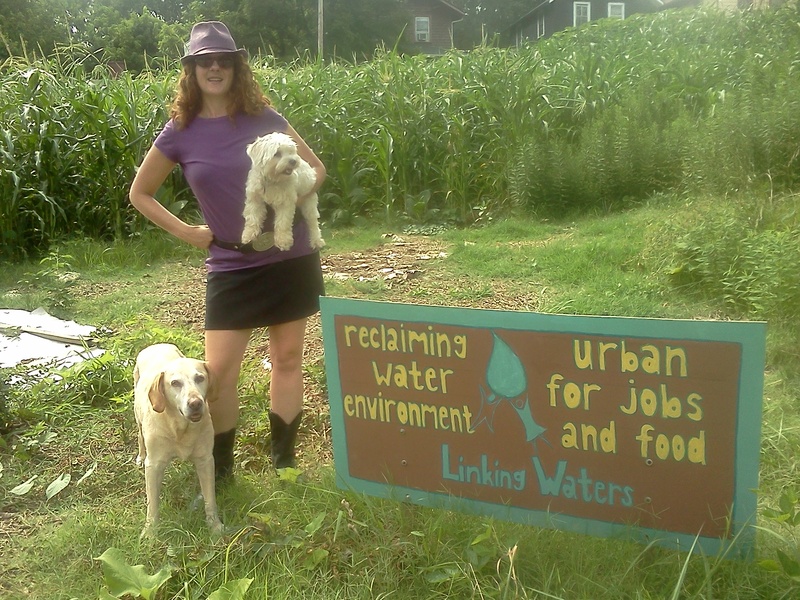 LinkingWaters is an innovative whole-systems approach to reclaiming water for creating green jobs, growing fresh, healthy food in urban neighborhoods and protecting the French Broad River. At the first demonstration site volunteers from RiverLink, Transition Asheville and interns from Asheville Green Opportunities helped install low-tech rain-water harvesting features at the home of Michelle Smith where she is establishing an urban micro-farm and perennial food forest she calls Peace and Fun Gardens. 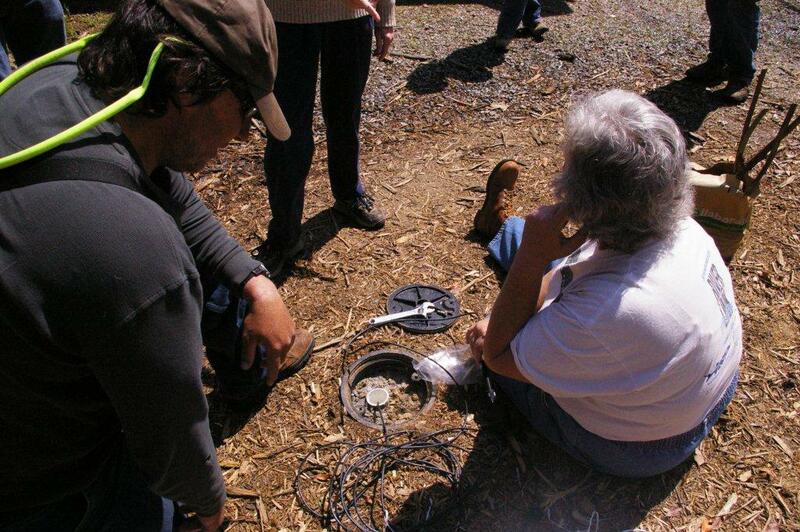 In addition to the rainwater harvesting features themselves, the demonstration site also includes several methods of collecting data – from test wells with high-tech transducers to simple rain gauges. Sherry Ingram, owner of Water Links, LLC, designed the data collection methods and oversees all the technical aspects of the project. 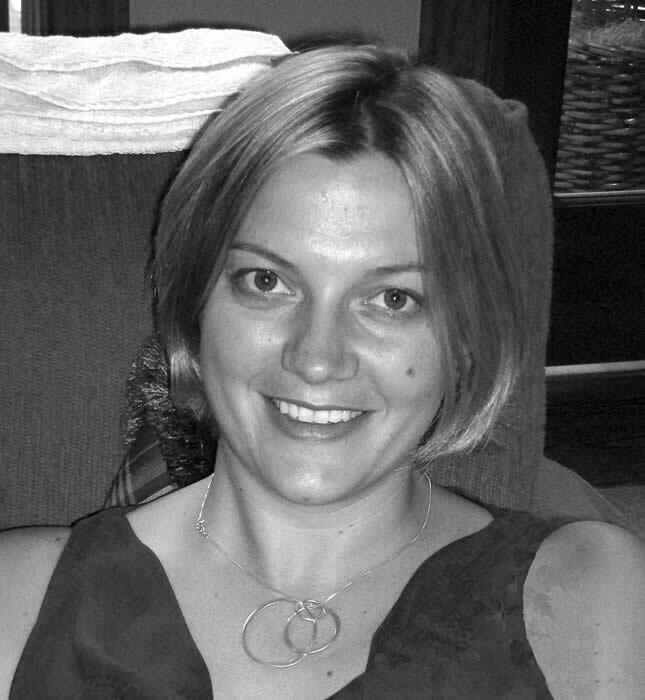 In fact, Sherry has spearheaded the entire project for over two years. Long before that Sherry, who is a professional geologist, noticed that Asheville groundwater levels were alarmingly low despite the relatively high levels of precipitation we receive. Groundwater is the water that is stored in the soil and replenishes our water supplies. At the same time WNC has been experiencing increasingly dangerous and costly flooding from heavy rain events that increase expenses for the city, the county, the state and property owners in Asheville. Sherry’s research led her to believe that many of the urban water reclamation methods that have proven so successful in desert cities like Scotsdale, Arizona and Los Angeles could be adapted for our WNC climate and terrain to help solve a full spectrum of problems connected to our water in Asheville and effecting the French Broad River. The first LinkingWaters demonstration site is designed to showcase low-tech methods that any home-owner can install using tools no more complex than a shovel and to measure the effects of those methods on groundwater levels, storm water run-off and sediment transport. Zev Friedman, a local expert in whole-systems permaculture designs for urban landscapes and owner of Living Systems Design, led the design and installation process along with Nancy Hodges, Riverlink’s Watershed Resources Manager. The good news is that all of these challenges represent exciting opportunities to create a lot of green jobs! Asheville, like the rest of the world, is facing uncertainty for the future of water. In the face of worldwide warming trends predicted for the next century and beyond, we can expect to see our rainfall here in western NC shift back toward the record drought conditions of 2007-2008 seems reasonable. Here are just 5 of the challenges we face here in western NC. Ground water tables, the water that is stored in the earth that feeds plants and streams, are drying up from both long term rainfall deficits and wasteful, out-dated water use and management practices. The City of Asheville struggles to provide affordable water to citizens and deal with the effects of contamination of our watersheds from storm water contamination. Across the region, severe flooding causes devastating loss to families and communities as well as dangerous pollution to the rivers that support life and local economies. Property owners and business owners face rising costs to meet their water needs. Issues that have developed over decades have created a need for whole systems solutions at the grassroots level in WNC and in the US as a whole. The LinkingWaters project is a grassroots solution that can be implemented at the neighborhood landscape level by homeowners, houses of worship and business property owners, in many case using tools no more complex than a shovel. We believe solutions for our urban watersheds are possible at the local neighborhood level. Indeed, we believe solutions may be impossible otherwise. Repeat: The good news is that all of these challenges represent exciting opportunities to create a lot of green jobs! 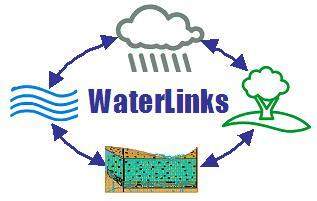 Made possible by: WaterLinks, LLC.